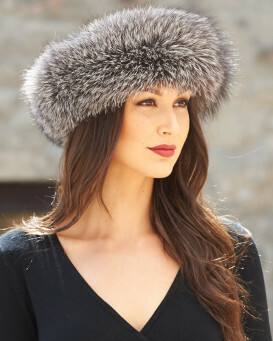 The Kaylee Rex Rabbit Cuff Hat in Chinchilla Grey. 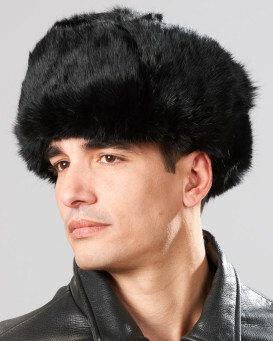 Look sharp and sophisticated in this genuine rex rabbit fur hat with leather top. The rex fur looks and feels like Chinchilla. No one needs to know you spent so little for such an expensive look. It not only looks great, it will keep you toasty warm in the cold. "Very easy shopping with FurHatWorld. Shopping with them is a phone call away. There web sight is easy 2 follow. The product looks as wonderful as it's picture. Great fit. I love it." "So beautiful just did not fit my head well, I love the quality of all their products just having an awful time with fit." 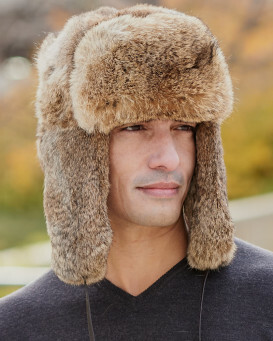 "I love the hat and the quality is excellent and it's fits me. I need a small size and it's perfect." "Prompt dispatch and quick delivery. Very warm and cosy and looks great. Have had many compliments on my new hat." "Bought for my granddaughter as a Christmas present. Hope she will be as delighted with it as I am. It was delivered within 8 days over a Christmas period which is excellent service. Hope it fits her." "I think the hat is beautiful,but the true test will be christmass morning when my wife sees' it.your web site was one of the easyist to buy from.i like that when you by something it's on its way in no time and you relay that info to us, Thank you Wrench"
"Delivery was prompt! 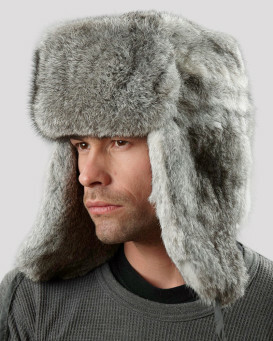 I already own this hat. Loved it so much that I purchased one for my Mom. 5 Stars!" "Beautiful, so soft and warm. Love it!"